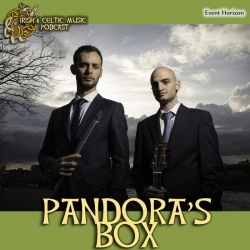 We're opening Pandora's Box with great Celtic music from The Flying Toads, Warbelow Range, Matt & Shannon Heaton, Dylan Foley, Ed Miller, Raglan, Abby Green, Event Horizon, Spencer & Beane, The Stubby Shillelaghs, Bill Grogan's Goat, Damanta, House of Hamill, Julia Lane. 31:22 "Seoithin Seo Ho" by Abby Green from Why Should I? Before get started with the news, I wanted to let you know that next week will be a rough time for me. My oldest daughter is having a very big surgery. I'm hoping I will have shows completed for you. But I feel like the world is turned upside down right now. I hope you will bare with me through the next couple months. I host two other podcasts. The Pub Songs Podcast which is currently replaying all of my albums. The other is Celtfather Music & Travel. It's a spoken word podcast where I share things from my adventures and thoughts that occur. Every now and then, it's highly Celtic-related. I did a recent episode on my Celtic Invasion of Oban Scotland in 2010. And most recently, I published a thought-provoking response to a recent episode by Seth Godin on "Anthems, Pledges and Change". I feel like it was a really interesting podcast and it is related to the Irish & Celtic Music Podcast as well as my music. Give it a listen. 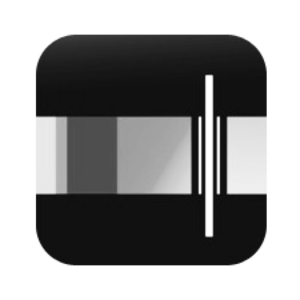 While you're there, you can also check out our free podcast app available on iTunes and Amazon. Another podcaster told me recently that they had some great advertisers on their show. I was very happy for them. 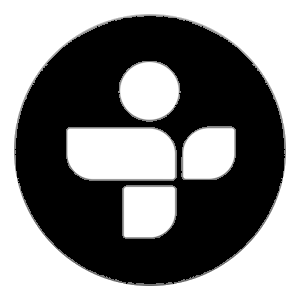 But the truth is, I am happier that this podcast is not influenced by record labels or publicists. The show exists first and foremost to help independent artists get heard. It's here to introduce you to the artists who are not under the thumb of some corporation. They don't have a big budget to promote themselves. They're just making great music. That's what I want to share. So this show is listener supported. No advertisers. No record labels. Your generosity funds the creation, production, and promotion of the show. In return, you get episodes before regular listeners, discounts on merch, and when we hit a milestone, you get extra special episodes, including a bonus episode of the Celtic Christmas Podcast that is now online. I want to thank our incredible Celtic Legends: Annie Lorkowski, Bryan Brake, Carol Baril, Hank Woodward, Hunter Melville, Kevin Long, Lynda MacNeil, Marianne Ludwig, Nancie Barnett, Scott Benson, Shawn Cali, Theresa Sullivan. These generous people pledge $25 or more per month to make this podcast a reality. Jerry Murphy emailed back in May: "Hello Marc, Yes, I downloaded and have very much enjoyed listening to the lot. I also have shared it with my executor, named Riley, for his enjoyment. He is also a professional musician! I wish you well, as I do any of my ancestral countrymen (both Scottish and Northern Irish). But I am a completely disabled veteran, with very limited means. Slainte!" Arika Lycan emailed from from Ypsilanti (ips-ill-an-tee) MI: " Good morning! I’m driving back home to visit my parents in Columbus Ohio, To pass the time with my mom while my dad has hip replacement surgery. I’m sure I’ll pop in my earbuds and listen to the rest of this episode which will keep me in good spirits. Maybe I’ll even share an ear bud with my mom :-) Safe travels in Scotland!" Connor Hibbs emailed: "Hi Mark! Just re-listening to episode 360 while sitting and editing photos (That's what I do for a living) Hoping to get a job out before the day gets too warm so I can also spend some time landscaping my back yard. Just wanted to write to tell you I love your show and give a suggestion! I'm not sure how you edit the show together, but it would be great to have chapters embedded into the feed so I could skip back to the beginning of songs I really love. I totally realize that my suggestion would create a little more work for you overall in what is already without a doubt a labor intense process, and am definitely not saying that I would ever stop listening even if you choose not to go that route. Just wanted to provide a friendly suggestion for a feature from someone who really adores the show and feels that others might enjoy having something like that included! Sláinte!"